eKitabu in partnership with the Ministry of Education, UNICEF and other partners launched the Content Development Challenge (CDC) on Wednesday 27th September 2018 during the Nairobi International Book Fair at Sarit Center, Westlands Nairobi. In attendance were invited guests, partners and sponsors, publishers, content developers, among others. Open to all Kenyan publishers and content developers, the Challenge will empower Kenyan publishers and content developers to develop quality reading materials for learners with disabilities and offer prizes for content developers to build accessibility into their titles and publishing practices. Content developers will utilize practical materials and templates included in eKitabu’s open source Toolkit for accessible publishing. ‘‘Sustainability of publishing in Kenya is our focus in this new initiative with local publishers, Kenya Publishers Association, and All Children Reading—A Grand Challenge for Development. The Content Development Challenge will encourage innovation by recognizing and rewarding excellence for quality, early grade, digital reading materials that are accessible for all learners, including learners with disabilities, leaving no one behind,” noted Will Clurman, CEO & Co-founder, eKitabu. Submissions will be made online at toolkit.ekitabu.com from September till January 2019 with prizes to be awarded in mid-2019. Cash awards will be given to the publishers who produce accessible digital books in Grand Prize, 1st Runner-Up and 2nd Runner Up positions. eKitabu is the leader in delivering accessible digital content for inclusive and quality education in Kenya. 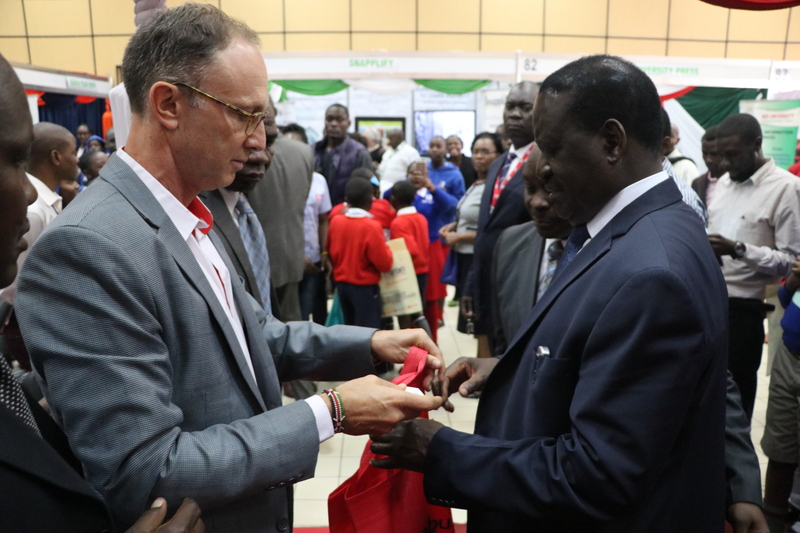 Since its establishment in 2013, the company has partnered with more than 1,500 schools to access its digital books that have been approved by Kenya Institute of Curriculum Development (KICD) for use in the learning institutions. The Content Development Challenge is funded through our award as a winner of the Book Boost: Access for All Challenge, a competition conducted by the All Children Reading: A Grand Challenge for Development Partners (USAID, World Vision, and the Australian Government), Pearson and Project Literacy.